carla celentano | sorrento experience | amalfi coast. 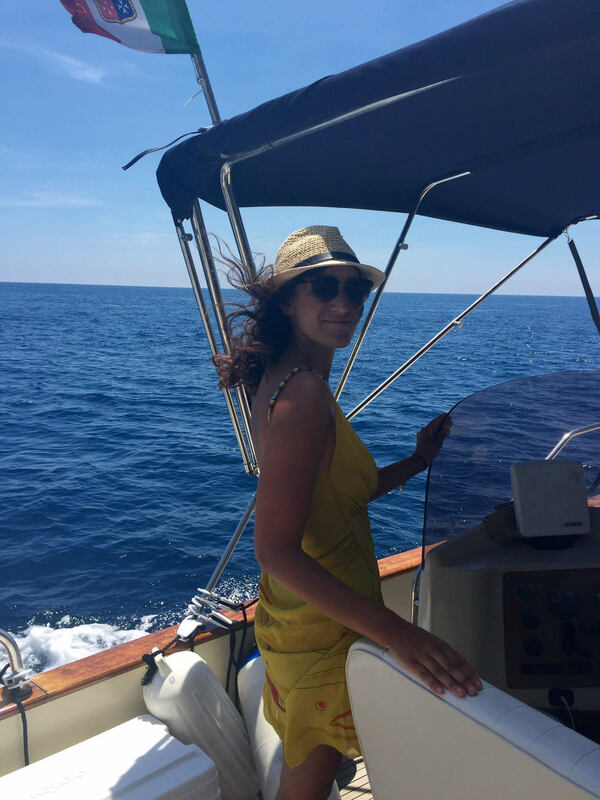 spotlight on carla celentano | amalfi coast. Describe yourself in 3 words or less: Attentive, friendly, organized. What do you do in Sorrento? i help run the family business. We organize private boat tours for our guests, and aim to provide a service second to none along the Sorrento coast, Capri and Amalfi coast. How long have you been working on boats? Since i was a child. i have always been side by side with my wonderful father. If we only have a few days on the Amalfi Coast, what should we see? I have lived here all my life and I still find every moment spent along the coast a surprise, with its mixture of pure nature and and sense of luxury. The Amalfi coast gives you a feeling of total pleasure, relax and pampering. The must sees are the island of Capri, and Positano town. Favourite gelato in Sorrento? My favourite gelato is from a gelateria called Raki, with its wonderful flavours. Another wonderful place is Gelateria Primavera, where you can choose from so many different flavours. Best place for aperitivo in Capri? In my opinion the best place for an aperitivo is in the Hotel Quisisana. Favorite thing to explore by boat? The caves of Capri - but not the blue grotto as it'a a tourist trap! All the coast line of the Amalfi coast. Is there anything we should shop for while on the AMalfi Coast? Ceramics, limoncello, Positano fashion, and products of wood from Sorrento. Who is inspiring you right now? Life... and the passion i have for enjoying every moment of it. Who is on your stereo? Lucio dalla “Caruso". Words you live by...satisfaction and meeting wonderful people!